Baptist Health Systems acquired the Leake Memorial Hospital on October 1, 2011 in a transaction with the Leake County Board of Supervisors. 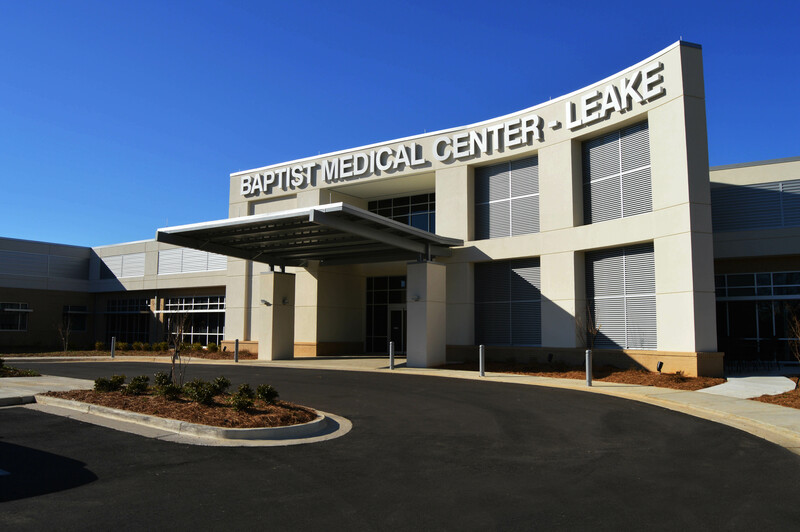 Baptist Leake was constructed as a new hospital facility in this medically underserved area with a $29.7 million investment that features the use of both federal and state NMTCs and tax-exempt bond financing. This is a major investment in the healthcare of a severely distressed rural area in Carthage, Mississippi. Located in a Persistent Poverty County in the Appalachian Regional Commission (ARC) service area, the investment resulted in an expanded overnight facility, 5 new physicians, 15 new support staff and retention of 111 other high-skilled medical technicians (out of 236 total jobs) in this town of 4,600 residents. Upon a full renovation of the 1940s building, the new facility boasts a 25-bed hospital that offers acute care and swing bed services. The facility also offers MRI, vascular ultrasound, echocardiography, wound care and podiatry services. The Level IV emergency room is staffed by qualified physicians and ancillary staff. Located 68 miles from a Level 1 trauma center and most of the state’s healthcare infrastructure in Jackson, this service expansion in rural Carthage, MS has made an immediate impact in healthcare for thousands of Mississippians. Leake County has been designated by the Health Resources and Services Administration (HRSA) as a primary medical care/health professional shortage area. Economic: According to local officials, this facility has played a key role in attracting and retaining local businesses as well as improving the overall health and quality of life for the nearly 4,600 residents. The 131 quality jobs generate a payroll of nearly $5 million per year. Jobs: With the prior county-owned hospital near failure, Baptist saved and created 131 jobs by investing in this new healthcare facility. These are quality jobs that come with an array of benefits including medical coverage and 401K participation. Community: The impact of this project for increasing healthy outcomes in a rural medically underserved area cannot be understated. This will be the largest and most technologically advanced medical facility within a 60-mile radius. Nearby residents’ previous option has been to travel to Jackson, which is nearly 70 miles away, for medical services. This facility will also target increases in OB/GYN, cardiovascular, cancer treatment and other acute care services. Workforce Development: Baptist provides ongoing technical training to new employees and works with area WIN Job Centers, Leake County Vocational Center and other resources to train and equip community persons with job skills for the medical environment.